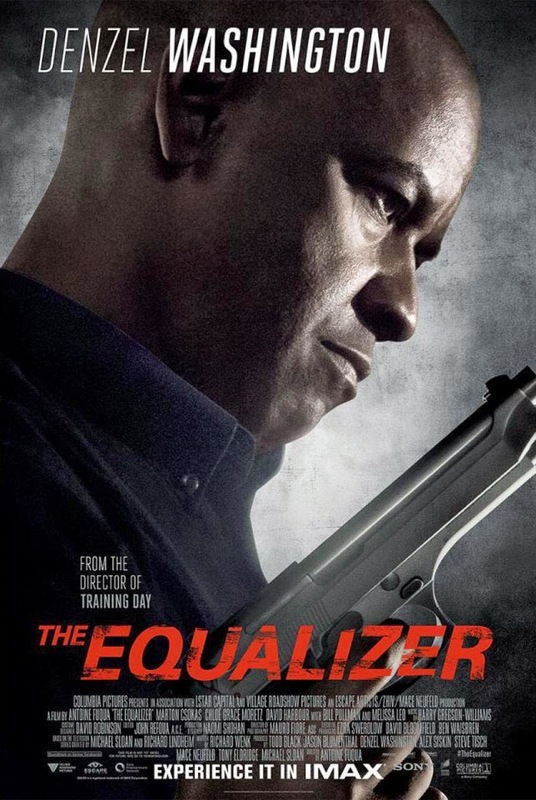 The Equalizer (2014) is an American action thriller movie which will keep you on your seats till the end of it. It's an awesome movie from the director of Training Day - Antoine Fuqua. The movie stars Denzel Washington as an Equalizer who has faked his own death to run away from his past as a black commando ops. He is ready to help people as and when required and can't stand if someone is being oppressed by force and power. The movie is slow paced and the things runs in a calm and composed manner throughout the movie. The movie is a great watch and keeps you entertained till the end of it. The action scenes are really awesome as he slowly kills each and every adversity that comes in his path. Chloe Grace Moretz looked beautiful and the character of Denzel Washington, McCall wants her to be free from violent Russian Mafia leader Slavi played by David Meunier, who beats her if she doesn't do as per their demands. Melissa Leo has played her role well as a US Government official as McCall wants to take permission to go out full on against the Russian mafia as things gets out of control. Marton Csokas has played his role amazingly well to stand against Denzel as an antagonist in this movie. The movie is very well directed with great background music and effects. This movie kept me entertained throughout and also because it's been a while, I have not seen any Denzel Washington's movie. It's a hide and seek kind of action and you will really enjoy the sound effects in the cinema hall. This movie is worth your time and money in theaters near you if you love action movies. This movie is Sony Pictures along with Village Roadshow Pictures collboration after 2001 movie - Saving Silverman. Movie is releasing in Ster Kinekor on 26th Sep 2014. Book your tickets now. More info on twitter and facebook. Check facebook page of Sony Movies SA & their twitter handle also.